Succulent chicken breast topped with a fresh tasting cilantro-lime spread. 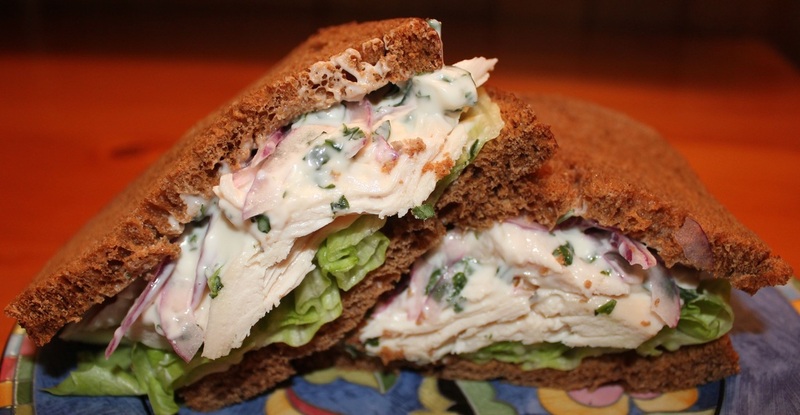 This is a fabulous sandwich for picnics or work lunches. In a small bowl mix the mayonnaise, cilantro and lime juice. Place one leaf of lettuce on each of 4 slices of bread. Arrange 2 ounces chicken on top of each lettuce leaf. Spread about 1 tablespoon mayonnaise mixture on top of the chicken. Top with one slice of onion. Finally, place the other slice of bread on top of the sandwich.